I am so, so thrilled for my lovely friend, Leslie of Threadbear Garments. Today is release day for her very first pattern, and y'all. It is impeccable!!! Let me introduce you to the Taos Top, View A. 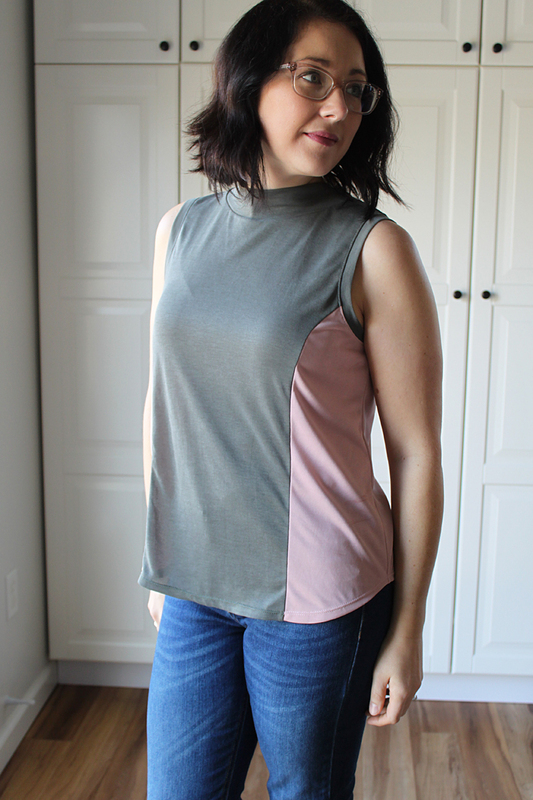 It features a mock neck, curved hem, sleeveless tank style, and the most beautiful princess seams that allow for so many color/fabric-blocking possibilities, or if you decide to sew it in a solid color, it adds the perfect amount of interesting detail! I'm in love with the scrap busting possibilites this pattern provides!! You literally only need the smallest of pieces for the side panels. 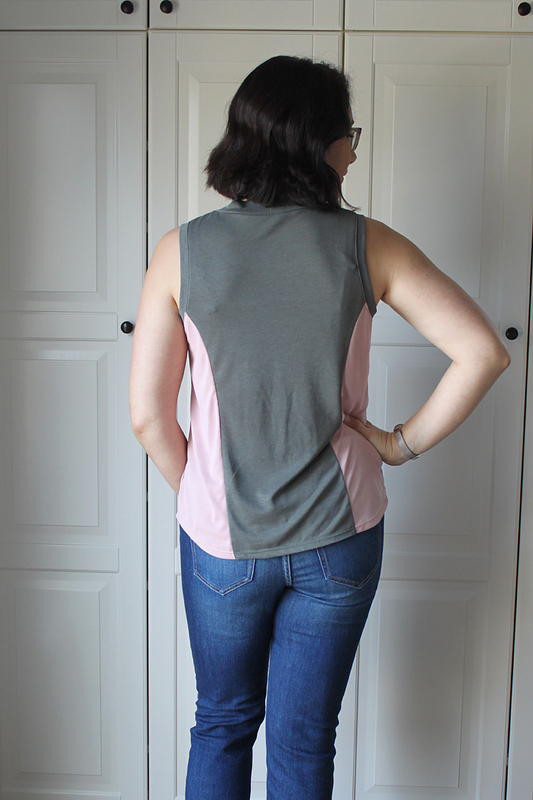 The front and back pieces really don't take much fabric either, so dig through your scraps, friends! The perfect pattern for them has landed in town! The color-blocked version, was the first version of the pattern in testing. It is pretty stellar as is, but we're talking perfection here guys, and round 2 (the solid version) is true perfection. 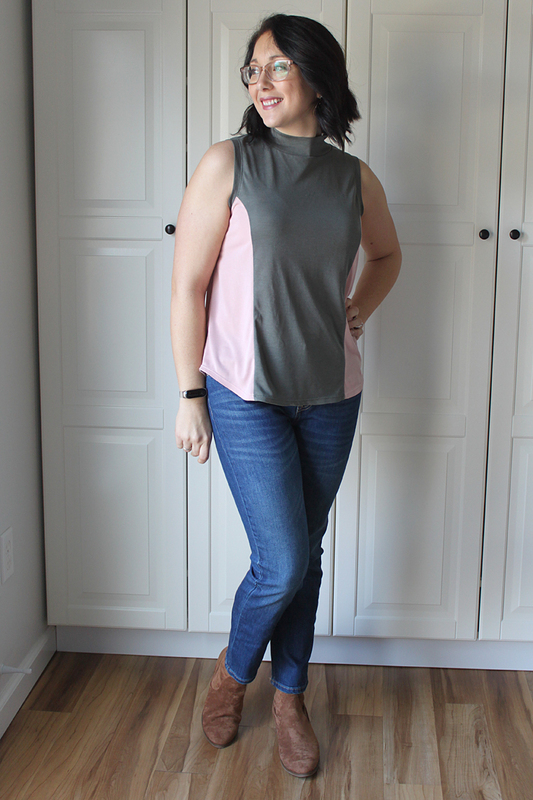 If you scrutinize very closely, you can tell there was a teeny bit of ease removed through the bust, and the armhole was adjusted to have a slightly closer fit. I'm so very happy with both of these tops and will be wearing them constantly!! 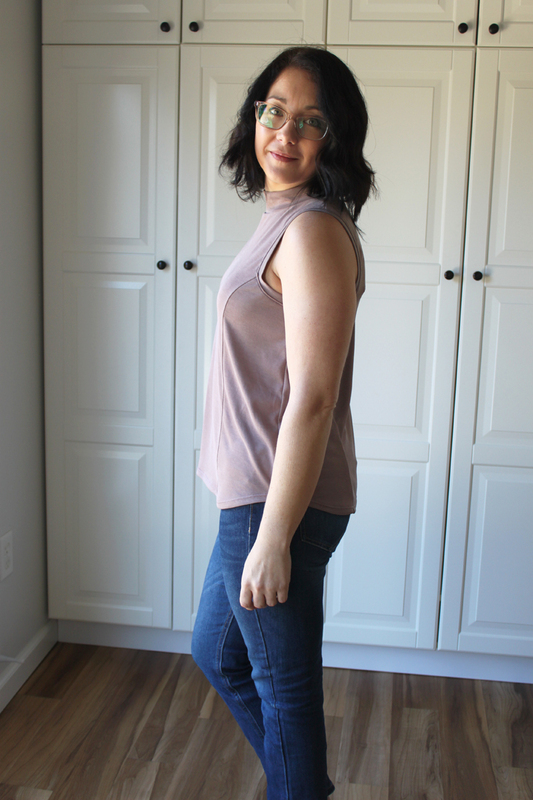 They layer perfectly under cardigans and stand up perfectly on their own for either transitional weather pieces, or pair them with shorts for a summer hike! 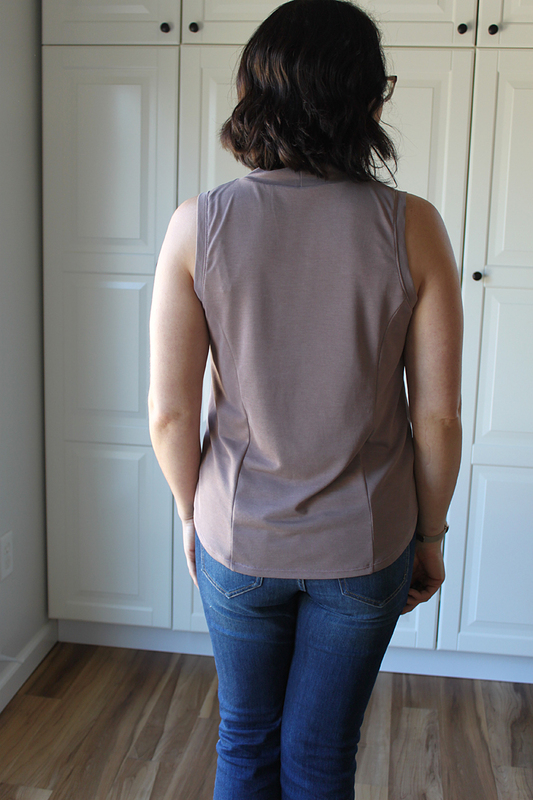 The mock neckband is also true perfection. I have been wearing mine all day and literally never once remembered that I was wearing a half turtleneck. Normally I am totally aware of a higher neckband at all times. Talking about versatility, just during testing, many of the testers were hacking up a storm already!! This pattern is perfect for athleisure wear for sure! Not to mention all the different types of fabric you can use. Drapey knits, structured knits like ponte or double knit, sweater knits, athletic fabrics. So many types of knit can be used, and I haven't even touched on the fact that you may be able to mix a woven fabric in there as well. Whaaat... You guys. So many options. And I haven't even mentioned View B!! 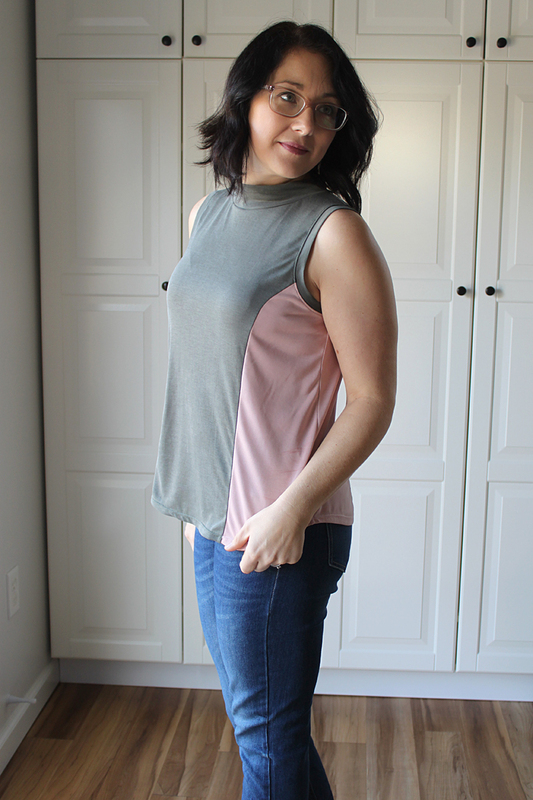 View B features a cowl neck and a hi-low hem with side slits. So cozy and classy. 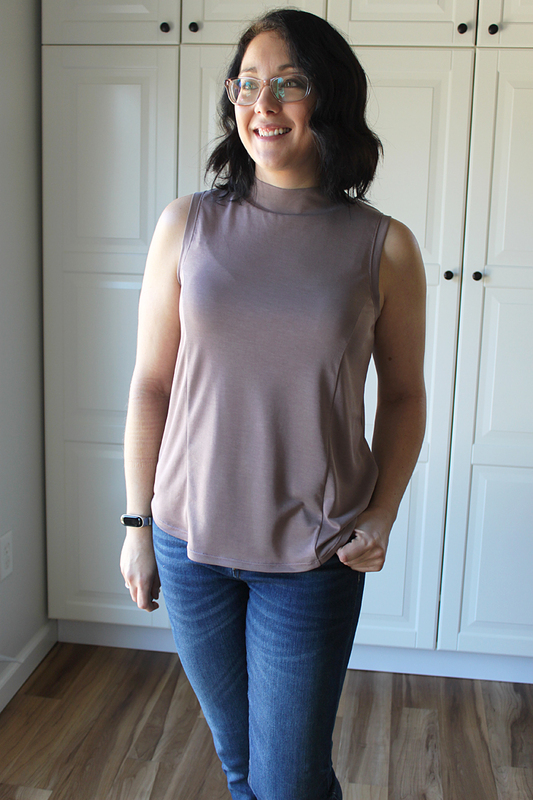 I can't wait to sew one up in the most delicious waffle knit from D&H Fabrics. 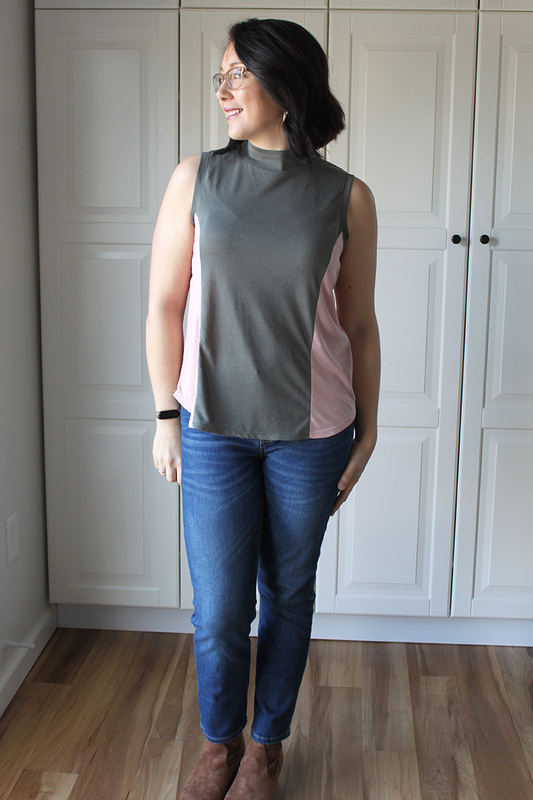 I'm so excited about this pattern that I've forgotten to even give you the fit details up until now... For this tester version I sewed a straight size 8, and shortened the length at the lengthen/shorten line 3/4". For size reference, I am 5'3" tall, my current measurements are B:36, W:28-29, H:37. 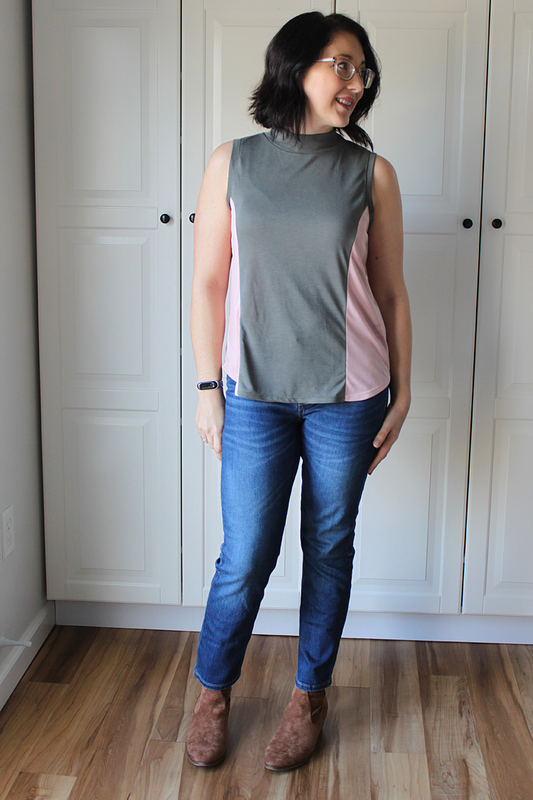 The fabric I used for both of these tops is poly/modal jersey from Cali Fabrics. I purchased all 3 colors about a year or so ago, and they are no longer available. But from what I can tell, they have lots of colors in knit that is likely the same or very similar, I linked them HERE. The price is fantastic at $5.99/yd. This fabric has 40% stretch, and the pattern is designed for knits with 30-60% stretch percentage, so it's a perfect pick! The drape also makes for a dreamy fit. I also feel it is important to mention the quality of the instructions that are included in the pattern. Leslie went into great detail with descriptions, illustrations, and pattern markings. The hard work put into this pattern seriously shows. It's a work of art to open this PDF. During testing everything was looked over with a fine-tooth comb and Leslie was absolutely meticulous about getting everything just right. It's good. That is all. Head on over to the intro post on Leslie's Instagram for a discount code and then grab a copy of your own! 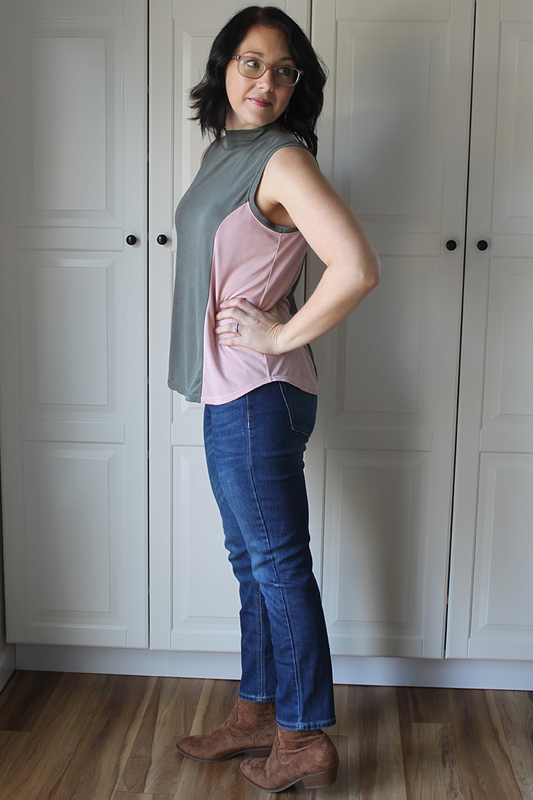 Lovely tops Heidi! 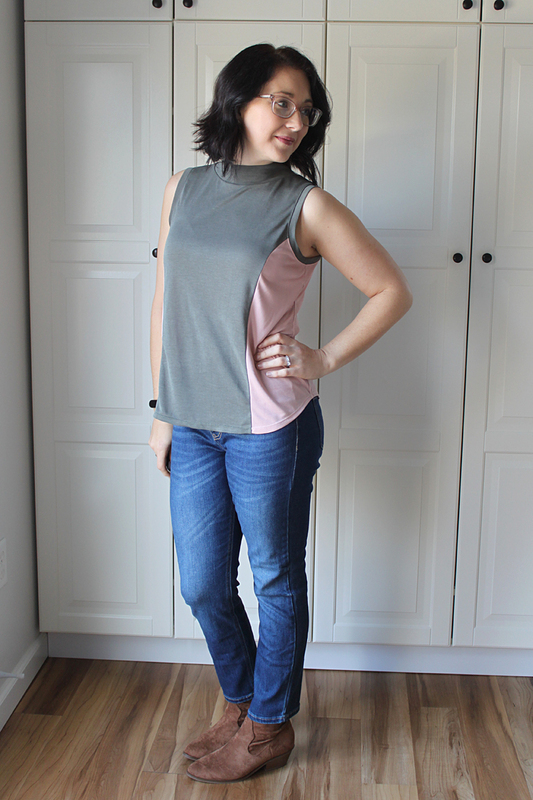 It's such a nice elevated basic, I think I need to go grab the pattern.